Pewter is a tin-based alloy, the surface of which turns a dull, dark grey over time. If your pewter item has been plated silver, you may find a layer of black underneath the silver plate. 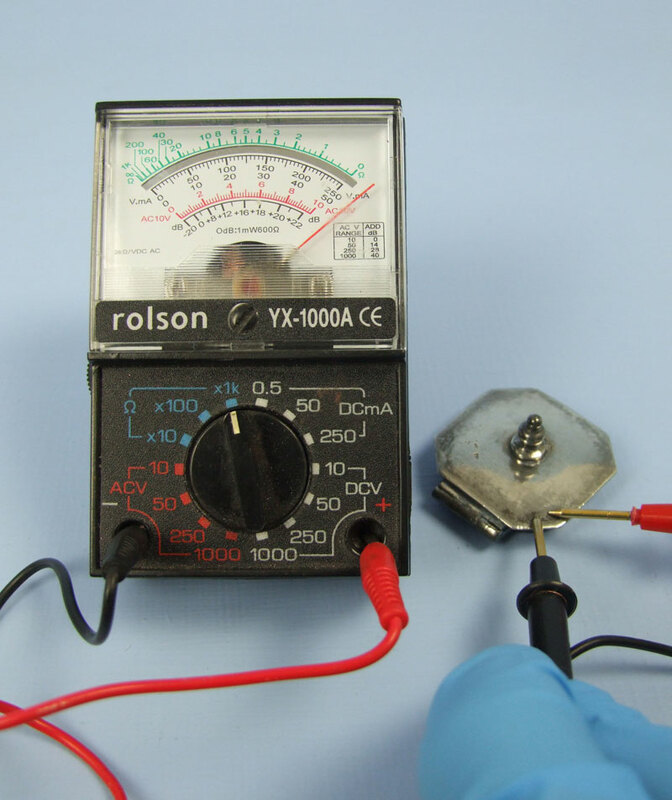 You needn’t worry about removing all of this black layer before plating, as it is conductive and can be easily plated over. 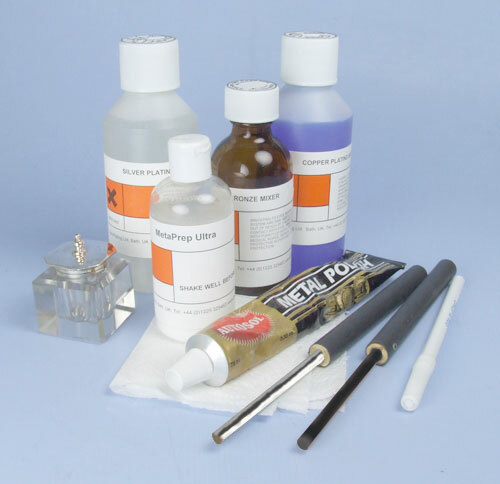 Brush plating solutions; silver, prepared white bronze plating solution, Surface preparation/finishing; MPU, Autosol, Silver Electrode for the silver plating, a Platinum or Carbon Electrode for the white bronze plating, Swabs, Plating Pen. 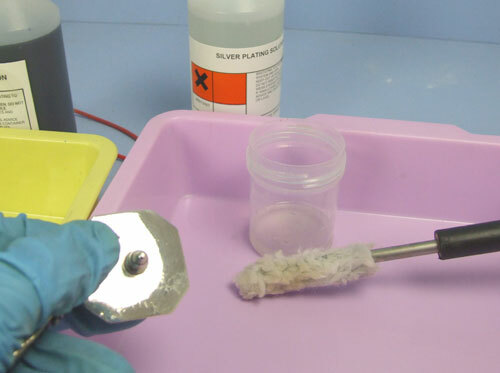 For help with setting up your brush plating equipment, please see our guide by clicking HERE. 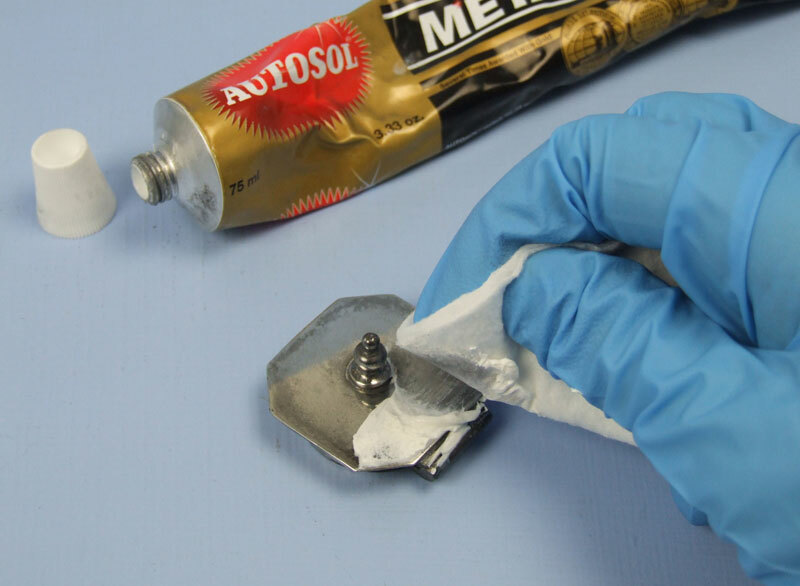 Remove the remains of the old silver plate and most of the black layer with Autosol. The Autosol will now need to be thoroughly cleaned off. 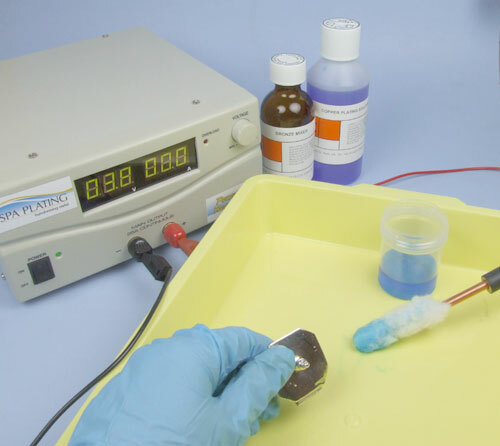 Most areas of the ink well can be cleaned with MPU. 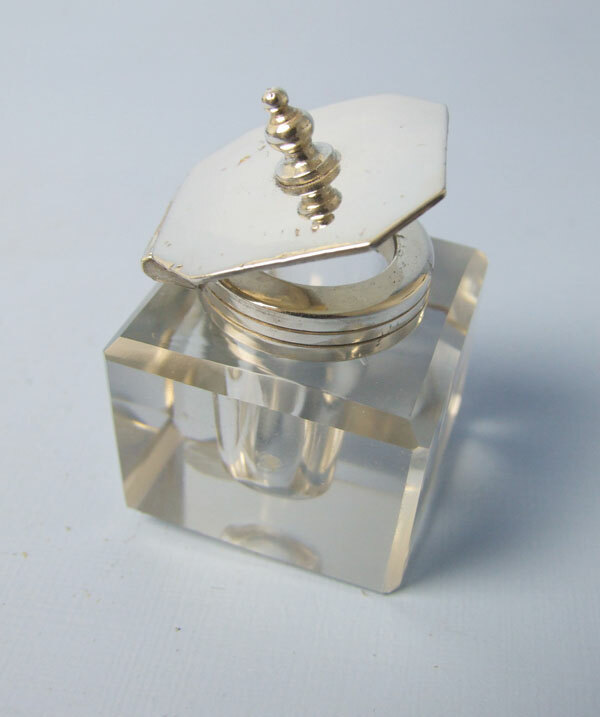 However, to clean the hinges of polishing compound, you’ll need to rub in plenty of liquid detergent and then rinse thoroughly under warm or hot running water. If you are unsure about the conductivity of any of the remaining patches of black, check them with the Conductivity Tester. Build up a good, thick layer of white bronze. Clean the hinges as described in stage 2 and silver plate. To seal the surface of your work and bring up the shine, polish with Goddards Silver Polish and/or MetaSeal.